Black Ice Software has released version 8.65 of the Black Ice Software Tiff Viewer and Tiff Viewer Server. 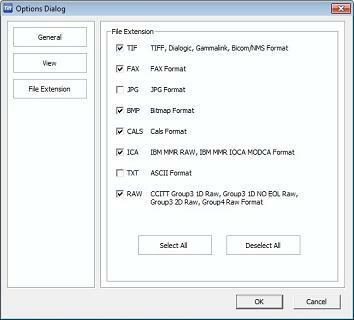 The Black Ice Tiff Viewer version 8.65 includes a new Options dialog where users can easily personalize the Tiff Viewer's settings. Tiff Viewer saves the image’s changes without asking when the user closes the document. Saves every view settings including zoom modes when the user exits from the program. These settings will remain the same at the next start-up of the Tiff Viewer. One can choose any view mode, which will be the Tiff Viewer’s default. One can choose a select mode (e.g. zooming), which will be the Tiff Viewer’s default. Version 8.65 also includes several improvements to displaying the initial message box, users can now have a more comfortable experience using the Tiff Viewer. The TIFF Viewer & Browser Plug-in allows users to view, print, and edit any TIFF image on the Internet or to open and view TIFF files on their computer. The Black Ice TIFF Viewer includes both a browser plug-in and a standalone TIFF/Image Viewer.